Early in her career, Dalia Messick, a cartoonist struggling to get her work published, got a couple pieces of advice from the head of the Chicago Tribune-New York News Syndicate’s secretary. First, change your character’s profession, she said, and secondly, change your name. Messick obliged, recasting her bandit protagonist as a roving journalist and adopting the pseudonym “Dale.” Her strip, “Brenda Starr, Reporter,” became nationally syndicated by the 1940s and a decade later, it was in over 250 papers. Readers delighted in the globe-trotting adventures and romances of Brenda, the redheaded career woman. Messick’s story is just one example of the overt sexism faced by female artists. A new exhibition at the Library of Congress, “Drawn to Purpose: American Women Illustrators and Cartoonists,” is dedicated to exploring the lesser-known, centuries-spanning contributions of female artists who broke into these male-dominated fields. Spanning the 19th century to today, the exhibit features nearly 70 pieces from in an impressive array of 43 artists. The artwork ranges from Alice Barber Stephens’ Impressionist-influenced illustrations to Anne Harriet Fish’s elegant, fine-line drawings that graced more than 30 Vanity Fair covers to Roz Chast’s frenzied and funny cartoons in The New Yorker. Even so, Kennedy saw she had more ground to cover, so she wrote a companion book (out in March) and curated a second rotation of the show, with an entirely different lineup of artists, to replace the current one in mid-May. “There are a lot of women who did really interesting, innovative work who have been overlooked and are worthy of further study,” Kennedy says. The earliest examples are those female artists from the “Golden Age of Illustration”—the years between 1890 and 1930 that paralleled the turn-of-the-century renaissance in publishing. 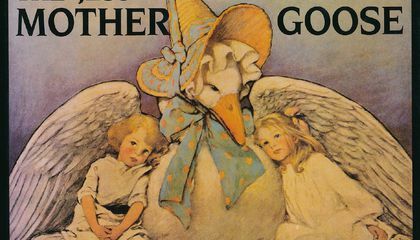 As magazine, newspaper and book printing flourished, many women, who were trained in fine arts, built careers out of illustrating children’s books. Early on, women interested in drawing cartoons and comics were often limited to certain subjects. “Those able to develop successful strips were restricted to cute children and animals,” says Kennedy. There was Grace Drayton, who created the Campbell Soup kids, for instance, and Marjorie Henderson Buell, who created Little Lulu. Rose O’Neill, an illustrator for Puck magazine, became one of the earliest successful female cartoonists when she first introduced her Kewpies in Ladies’ Home Journal in 1909. Within a few years, she created dolls based on the characters, which were so wildly popular that she became wealthy and well-known. 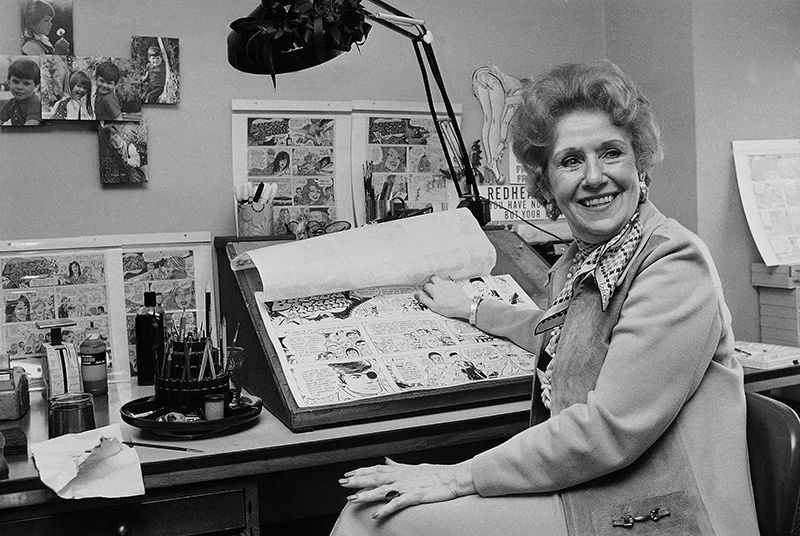 When Messick started drawing Brenda Starr in 1940, the comic strip marked a significant shift in subject matter. As “Dale,” Messick was able to tap into a genre of cartoons that was mostly restricted to male artists. “Featuring a worthy female counterpart to male heroes in adventure strips, Brenda Starr marked a milestone among strips by women,” Kennedy writes. The 1970s and 1980s marked yet another a shift in subject matter. Moving beyond Brenda Starr’s outlandish escapades, many female artists began to source material from their lives and those of people they knew. Lynda Barry’s One! Hundred! Demons! is a graphic novel that draws on some of her personal experiences in a style she termed “autobiofictionalography.” Alison Bechdel depicted lesbian relationships in her long-running strip “Dykes to Watch Out For” and drew on her difficult childhood in two graphic memoirs, “Fun Home” and “Are You My Mother?” With this new generation of comic artists, there’s a movement towards embracing the personal narrative. Why was it difficult for women to have a career as an illustrator or cartoonist?